Very good in Very good jacket. VGC. Macmillan, 1986. First UK edition-first impression. Brown hardback(gilt lettering to the spine, small nick on the cover and spine) with Dj(a couple of small creases, nicks and scratches on the edges of the Dj cover), both in VGC. Nice and clean pages with two ink marks and slightly tainted on the outer edges, a couple of small creases and slightly tainted on the edges of the pages. The book is in VGC with light shelf wear.604PP. Price un-clipped. A collectable first edition-first printing. Heavy book. Fair. A few small marks to the page edges. Minor Shelfwear. Tan to the page edges. Acceptable: a readable copy. All pages and the cover are intact (dust cover may be missing). Pages can include considerable notes (in pen or highlighter) but notes cannot obscure the text. Most items will be dispatched the same or the next working day. Good. Yellow pages due to age, . Wear & Tear to cover **SHIPPED FROM UK** We believe you will be completely satisfied with our quick and reliable service. All orders are dispatched as swiftly as possible! Buy with confidence! I couldn't put the book down. Although it was over 700 pages, it was a fast read. 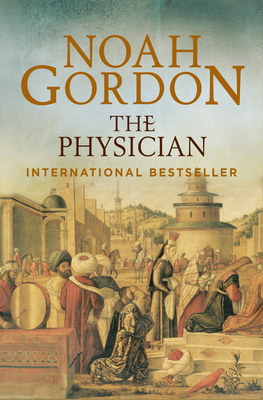 Gordon did his research into the times and cultures. Fascinating to learn about the medical world of the time. Look forward to reading the other 2 books in the series.